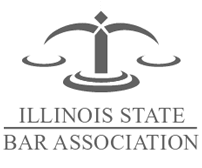 In Illinois, most employers are required to carry workers' compensation insurance. When employees are injured on the job, they are entitled to compensation under their employer's policy, regardless of who is at fault (with a few exceptions). Filing a claim can be a complicated and confusing process, however. Insurers typically look for ways to delay and ultimately deny the claim. If you or a loved one has been injured on the job, it is important to have an experienced attorney in your corner fighting to protect your interests. Contact us as soon as possible after the injury and before you talk to the insurance company. At The Law Office of Brian M. Laughlin, P.C., we have successfully litigated thousands of workers' compensation claims for clients in Chicago and throughout Illinois. Our attorney has extensive experience handling claims from both sides of the fence. We have previously defended workplace injury claims for some of the largest employers in the nation, and we have in-depth knowledge of the tactics used to try to deny the compensation workers are rightfully entitled to for their injuries. Drawing on our unique experience, we fight hard to counter and defeat the tactics used by insurers and secure positive outcomes for our clients. 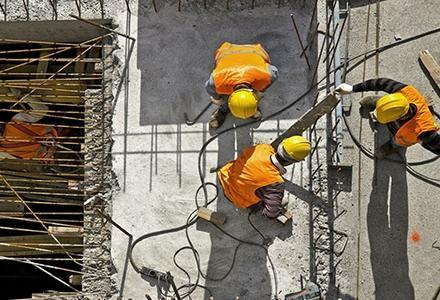 Claims can be filed for a wide range of workplace injuries, such as injuries to the shoulder, neck, hand, knee, spine, occupational diseases (such as mesothelioma), and death. Compensation can be sought for medical expenses, two-thirds of lost wages, and rehabilitation/job training for the time period in which your illness or injury prevents you from working. In most cases, a lump sum settlement may also be available. What if a Third Party is at Fault? There are some instances in which another party is involved in the workplace injury. For example, if you are driving a company truck and you are struck by another vehicle, it could become a truck accident case. In cases involving workers' compensation and third party liability, it may be possible to file a personal injury claim against the responsible party (or their insurer) to recover damages for your injuries. Workers' compensation claims can be difficult to pursue. At The Law Office of Brian M. Laughlin, P.C., we understand what it takes to successfully litigate such claims against even the largest employers and their high-priced attorneys. We offer free consultations, and we handle all of our personal injury cases on a contingency basis, so you never have to pay attorney fees unless we win your case. If you or someone close to you has been injured on the job, contact our office today at 847-752-8537 for an initial consultation. 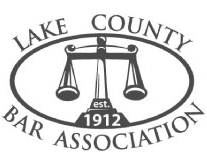 From our office in Grayslake, we assist clients with workers' compensation claims in Lake County, McHenry County, Cook County, DuPage County, Will County, Kane County, Rockford, and the surrounding Illinois communities.